Yamaha Motor Corp., USA, announces their new and returning factory-supported Side-by-Side (SxS) and ATV racers for the 2018 season, including defending champions returning to race Yamaha’s pure sport YXZ1000R SxS and best-selling YFZ450R sport ATV. Yamaha’s bLU cRU race support program will continue offering championship bonuses to registered racers competing in a YXZ1000R or on a YFZ450R model. Kicking off the 2018 SxS season, Yamaha is offering a $10,000 potential bonus for the winning YXZ at the King of the Hammers (KOH) race on February 7, comprised of $5,000 to the top-finishing YXZ1000R in the UTV class, plus an additional $5,000 with an overall first place finish. The ULTRA4 Racing Series’ KOH is renowned for its ruthless desert course through some of the roughest and most challenging rock and boulder sections of any timed event. Competing again in The Off-Road Championship (TORC) Pro Stock UTV class is decorated series race veteran and defending champion, CJ Greaves, in his Monster Energy / Maxxis / Yamalube / GYTR / Greaves Motorsports YXZ1000R. At only 22 years old, Greaves’ TORC series pedigree includes three Pro 2 truck championships (2014, 2015, 2016), three Pro 4 truck championships (2015, 2016, 2017), and the 2017 Pro Stock UTV Championship with a near-perfect run, winning 12 of 13 races last year. Looking to extend his championship reach and dominance to the west coast, CJ Greaves spent the off-season honing his skills and equipping a YXZ to compete at KOH in the UTV class. The YXZ’s manual transmission eliminates the need for a CVT belt, providing maximum durability in aggressive, high-performance off-road situations – ideal for the grueling KOH course. 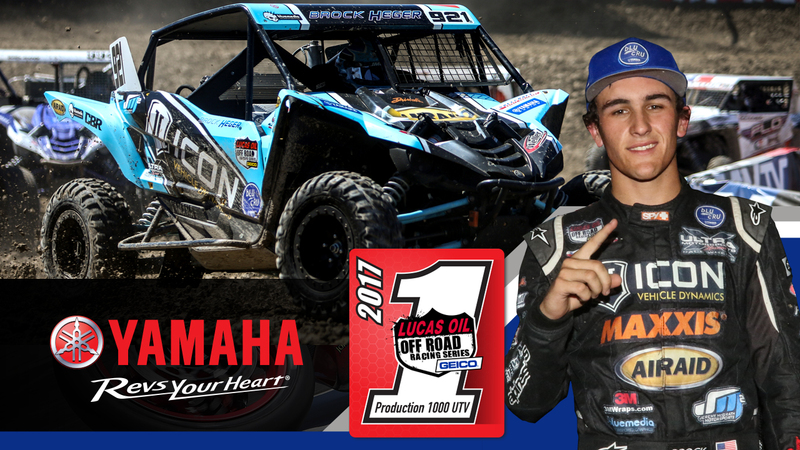 Making his debut as a Yamaha factory-supported driver is defending Lucas Oil Off-Road Racing Series’ (LOORRS) Production 1000 UTV champion, Brock Heger, in his Jeremy McGrath Motorsports / Maxxis / ICON Vehicle Dynamics YXZ1000R. 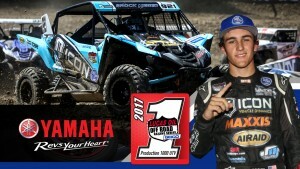 Last year, Heger and his YXZ1000R secured six first place finishes to capture the National LOORRS series’ inaugural Production 1000 UTV class, and bLU cRU championship bonus, with a 55-point lead ahead of the next competitor. As the vehicle-to-beat in the Production 1000 UTV class, the YXZ1000R is the world’s first pure sport SxS, offering an exciting direct-connection experience to racers seeking the ultimate high-performance in a SxS. 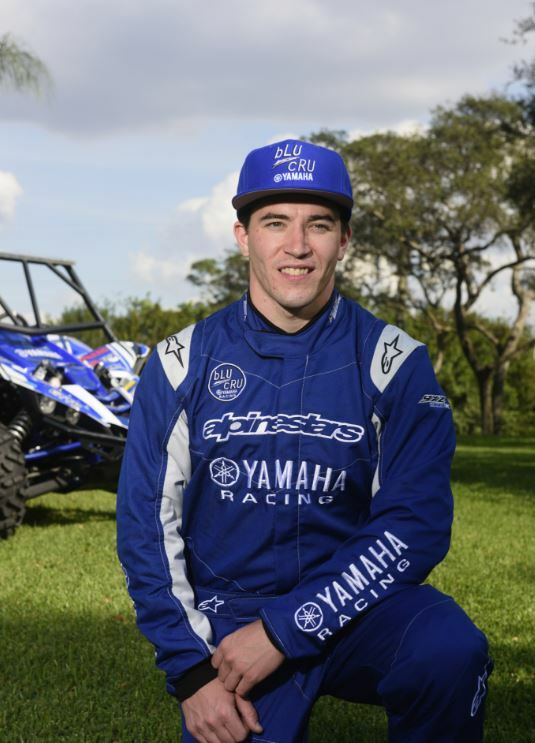 Looking to keep his streak alive and secure Yamaha’s $15,000 bLU cRU UXC1 Pro UTV championship bonus, reigning two-time Grand National Cross Country (GNCC) UXC1 Pro UTV champion, Cody Miller, will defend his back-to-back titles piloting his Am-Pro / Yamaha / GYTR / Greaves Motorsports / Yamalube YXZ1000R SS. Miller’s 2017 GNCC victory in the Sport Shift YXZ, featuring Yamaha’s Real World Tech paddle shifters – eliminating the need for both the clutch pedal and taking your foot off the gas during shifting – marked the model’s first year of GNCC racing, and first national cross country championship. 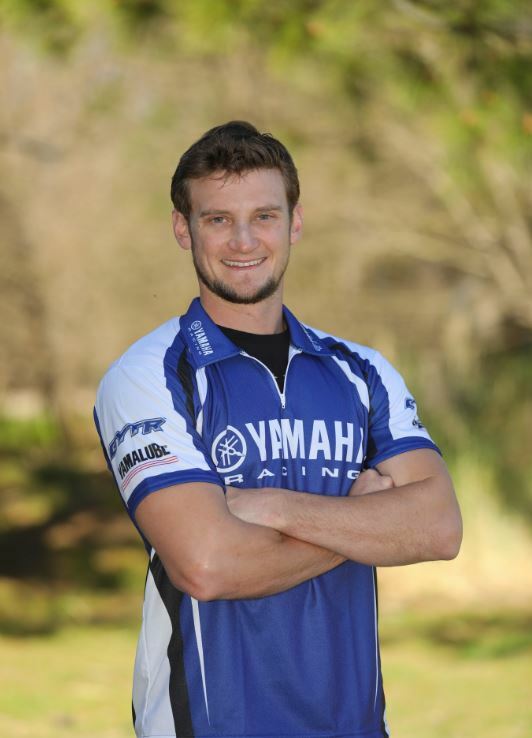 Also returning for another year on the GNCC circuit is longtime Yamaha factory-supported racing veteran, Walker Fowler, defending his third-straight GNCC XC1 Pro ATV championship on his WFR / Fly / LonestarYFZ450R. Fowler brings more than a decade of two and four-wheel experience to the starting line, going all the way back to his 2006 GNCC debut. Combining Fowler’s 12 race wins with Johnny Gallagher’s first-ever win last year, Yamaha’s Proven Off-Road YFZ450R won every XC1 Pro ATV round, setting a new record for most overall wins in a single season, and earning Yamaha the prestigious GNCC ATV Manufacturer’s Cup. 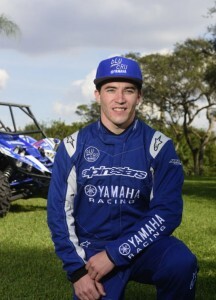 Fowler will also compete in the UXC1 Pro UTV class for his second straight year driving his Weller Racing / WFR / Yamaha YXZ1000R SS. Heading up the ATV MX effort for Yamaha is five-time AMA Pro ATV MX champion, Chad Wienen, on his Wienen Motorsports / Maxxis / SSI / Walsh / GYTR YFZ450R. 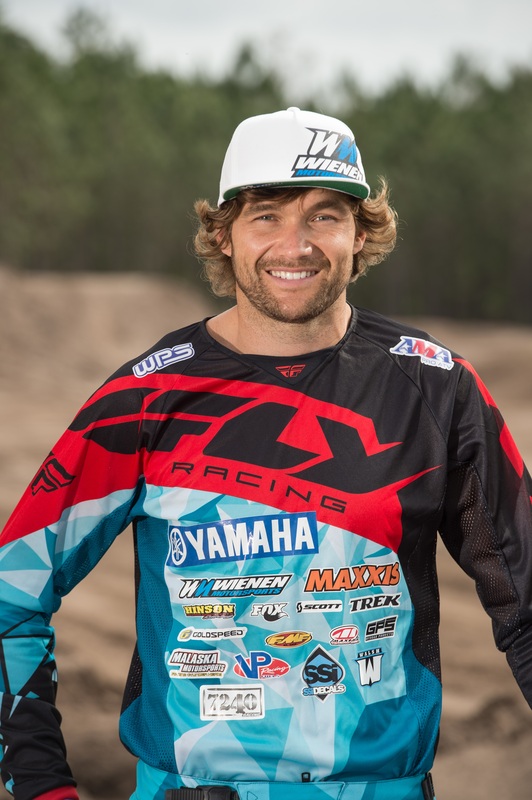 In 2016, Wienen became the second racer in ATV MX history, and the only racer in 25 years to win five-straight AMA Pro ATV MX Championships. Following another strong performance in 2017, the second-most winningest ATV MX racer of all time aims to recapture his spot at the top, chasing his sixth ATV MX Championship. Opening opportunities to Yamaha’s extensive racing community and fans, Yamaha’s bLU cRU support program offers racing bonuses to any registered racers competing in the designated classes with Yamaha’s 2017 or newer YXZ1000R, YXZ1000R SS or YFZ450R models. To sign up and apply for bLU cRU benefits, register online at www.YamahabLUcRU.com. Once approved, racers will receive a reloadable Yamaha bLU cRU debit card and $45 credit on their www.bLUcRUswag.com account for bLU cRU apparel. These racers will also be eligible for championship bonuses paid directly to their bLU cRU debit card. 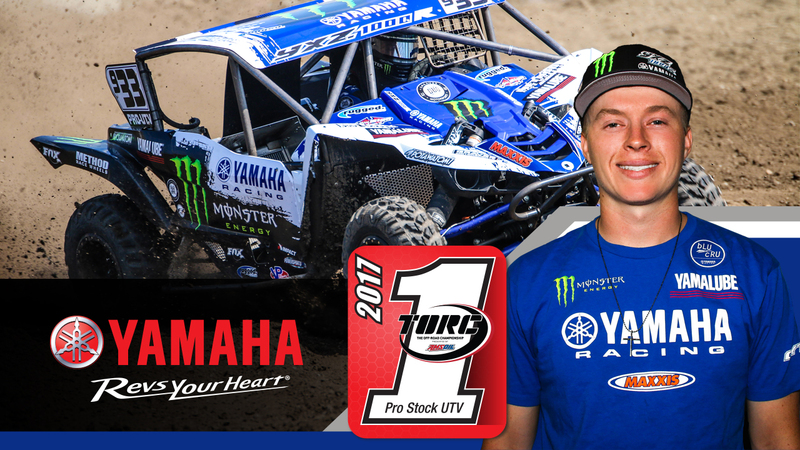 In addition to the championship bonuses, Yamaha will offer trackside support at all TORC events via a dealer, Powersports 1 Yamaha (Appleton, WI), which includes emergency parts support with discounted pricing and free technical assistance to all YXZ drivers. 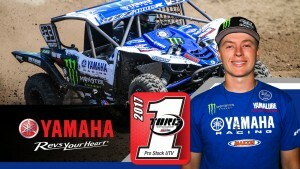 To register or view more information on Yamaha’s bLU cRU program, including all guidelines and requirements for SxS and ATV racing, visit www.YamahabLUcRU.com.